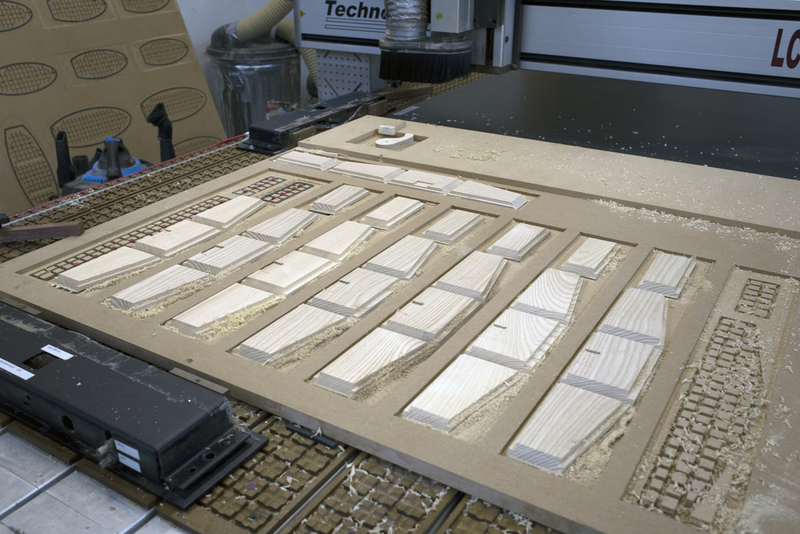 Fabrication of the music boxes, which was previously done entirely by hand, was adapted to CNC based production. All parts, including the mitered case and aluminum knob panel, were CNC machined resulting in seamless and efficient assembly. Accurately milled solid wood stock, combined with a vacuum jig for hold down, allowed for the precise machining of these small parts.